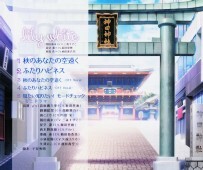 This is the third single by the Love Live subgroup Lily White, made up of Mimori Suzuko (三森すずこ), Kusuda Aina (楠田亜衣奈), Iida Riho (飯田里穂). The first pressing of this CD came with a serial code for the game which expires on May 31, 2015. 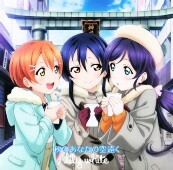 There are three SR cards of the Lily White girls (Umi, Nozomi, Rin), and each CD has one of them randomly.